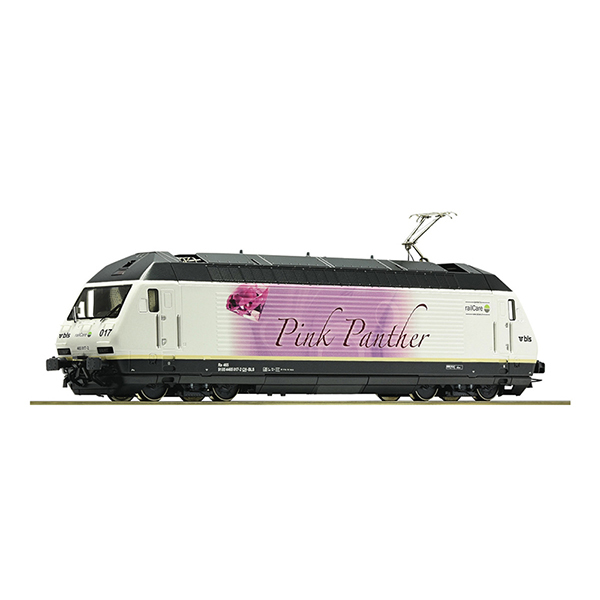 ROCO 79275 - Electric locomotive 465 017 Pink Panther BLS Electric locomotive 465 017 "Pink Panther" of the BLS AG. Epoch VI. Motor with flywheel. Drive on two axles. LED lighting. AC model with digitally switchable sound functions.